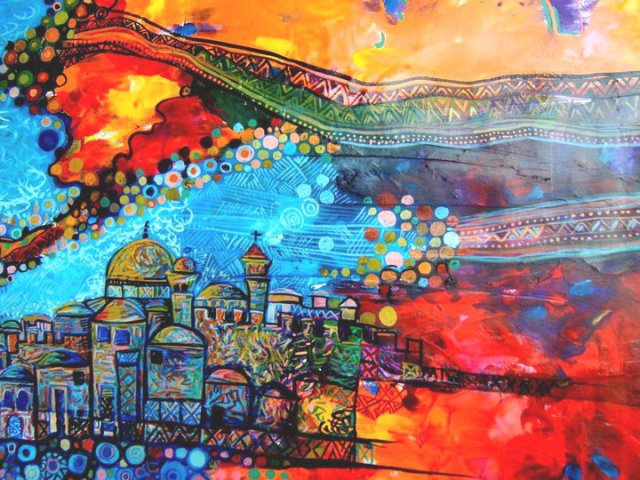 WISE ON THE MIDDLE EAST ~ Each week Robert L. Wise, PhD, explores the Middle Eastern situation, ranging from Egypt through Jordan, Syria, Lebanon, Israel and the surrounding area. Wise first traveled to Israel and the neighboring countries in 1968. Two of his sons taught in Jordan and Lebanon universities. Wise presents an objective view of the behind the scenes situation in these countries. On August 24, American President Donald Trump ordered the State Department to redirect the funding for programs in the West Bank and Gaza Strip to unspecified projects elsewhere. The Palestinians screamed! On September 11th the Trump administration ordered the closure of the Palestine Liberation Organization offices in Washington. This was the next step in President Trump’s policy of putting pressure on the Palestinians to come to the bargaining table. The move was applauded in Israel and deplored in the West Bank. 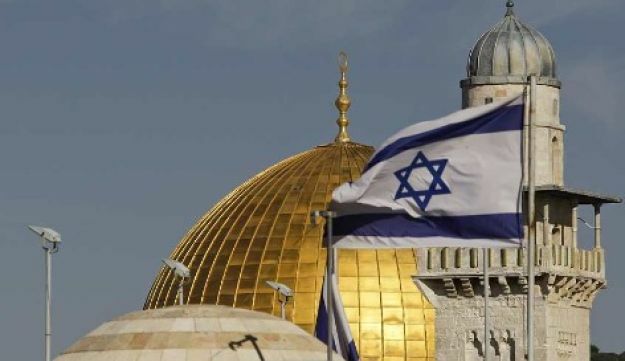 However, Israeli Deputy Minister Michael Oren noted that in the Oslo Accords Palestinians were forbidden to press their pursuit of statehood outside negotiations with Israel. Obviously, they have gotten away with violations of Accords they signed off on. Currently the Trump Administration is forcing them to pay a price for these violations and they don’t like it. As we observed last week, how one views this depends on the perspective they bring to the issue. However, it is becoming clearer by the month that the Trump Administration is mounting extreme pressure on the Palestinians to negotiate. What no one seems to recognize is that the Palestinians have one supreme goal to annihilate the entire country of Israel. The rest of the Arab world has basically realized this is not going to happen. When will the Palestinians join the party? WISE ON THE MIDDLE EAST Each week Robert L. Wise, PhD, explores the Middle Eastern situation, ranging from Egypt through Jordan, Syria, Lebanon, Israel and the surrounding area. Wise first traveled to Israel and the neighboring countries in 1968. Two his sons taught in Jordan and Lebanon universities. Wise presents an objective view of the behind the scenes situation in these countries. PLO Secretary-General Saeb Erekat denounced the loss of funds as “disgraceful” and accused the USA of meddling in the internal affairs of the West Bank and attempting to impact their national options. The Secretary-General claimed the funds were not a gift to the Palestinians, but a duty of the international community because of the continuation of occupation that blocks the development and growth of the Palestinians. The constant surfacing of the word “occupation” represents a new strategy the Palestinians have been using to present themselves as a conquered people. Of course, this is not true, but makes good propaganda. People with short memories or no information on the past are bound to take pity on their plight. The truth is that immediately after the United Nations gave Israel the right to become an established nation on May 16, 1948, the Arab states attacked Israel. Many Arabs fled Jerusalem and other cities at the direction of Muslim Mufi Husseini (often pictured talking with Hitler). Al-Husseini opposed King Abdullah of Jordan’s plan to annex the Palestinians into Jordan (which would have solved the problem). The Arabs started a fight they could not finish. Eventually Israel erected a wall around their country because of Arab Muslim suicide terrorism inside Israel. Ever since, the PLO has been a struggling organization that will not negotiate for a settlement of boundaries because their ultimate objective is the obliteration of Israel. American Jews opposed moving the American Embassy to Jerusalem because they saw this ending any neutrality the US might have had and halting their role in bringing a peaceful settlement to the Palestinian-Israel chaos. They have been proven right to this point as America no longer has any role in negotiating peace between these two fractions. 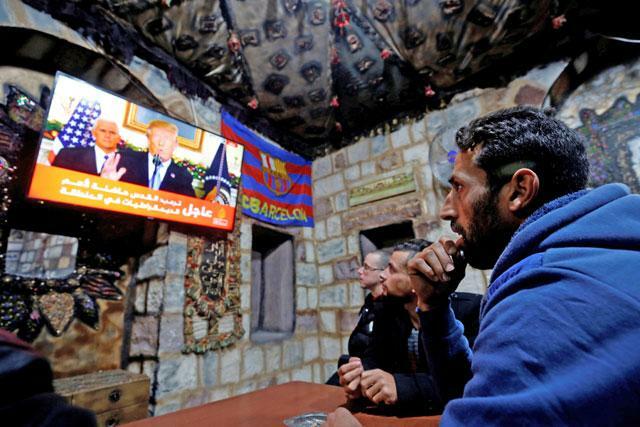 Trump’s arbitrary actions have greatly pleased Prime Minister Netanyahu at the cost of destroying any relationship the US had with the Palestinians. These blogs always attempted to give an objective, balanced view of the Middle East situation whether it reflects my personal values or not. The current Gaza demonstrations have often been reported in the media as an example of Israel repressing the Palestinians. Speaking objectively, this is not true. Israeli soldiers are shown shooting Palestinians rushing at the border wall with sling shots and burning tires, giving the appearance of Israel being the provokers and callous bullies. Again, this simply is not true. Alan Dershowitz (a former US attorney & now resident in Israel) recently asked why the media keeps encouraging Hamas violence. Dershowitz alluded to the fact that Hamas orchestrates these Palestinian attacks fundamentally for public relations purposes with the West. Hamas leaders did not conceal the fact that assaults against Israel and the border wall would generate a high number of civilian casualties. Hamas encourages the citizens of Gaza to become martyrs because their deaths puts a more sympathetic face on the terrorist group. The death of Palestinians creates headlines even if was caused by their own rebellious actions. A recent cartoon presented the truth about the difference between Israel and Hamas. An Israeli soldier is depicted standing in front of a baby carriage shielding a baby. The Hamas terrorist is standing behind the baby carriage using the baby to shield him. Hamas has used the demise of children to their full advantage. Dershoswitz makes the point that Hamas will continue to employ the “dead baby strategy” as long as the media fails to report the whole story about why citizens in Gaza are attacking Israel’s legal border. The media must recognize that Hamas controls Gaza and has done nothing to restore the cities since the last revolt in Gaza. While many of the citizens of Gaza do live in squalor, the leaders of Hamas live in splendor. Moreover, do not forget that Israel conquered the Gaza area, but under Prime Minister Ariel Sharon gave the area back to the Palestinians. Many Jews objected, but Sharon saw it as the moral alternative. What happened? The people of Gaza started and continue to shoot rockets at Israel. While the death of any citizen of the West Bank or Israel is a tragedy, Israel does have the moral obligation to prevent infiltration that would leave towns and villages vulnerable. If inflamed mobs rushed across the border, the death toll would skyrocket. Israel has a right to protect their border and their citizens from spontaneous assaults. The media must remember that the Palestinians have consistently refused to negotiate any settlement of their struggle with Israel. Yasser Arafat walked out of negotiations that would have finished the issue because their ultimate objective has always been the annihilation of the state of Israel and all of its citizens. Israel does understand that fact. What will come next? Palestinian Authority President Mahmoud Abbas will soon be forced to step down either because of age or coercion. You can bet Hamas will come rolling in with burning fires and guns blazing. Get ready for the “dead baby” scenario to be replayed full tilt. In a continuing analysis of the current situation in Israel and the West Bank since President Trump announced the USA would move their embassy to Jerusalem, a number of re-positioning’s have occurred. As expected, most of the Arab world grumbled, but did nothing because it was in their best interest to stay on solid footing with Washington. They remain far more concerned with Iran. However, the Palestinians went ballistic. Because they are now losing “big time,” Palestinian Authority (PA) President Mahmoud Abbas condemned the US in every possible way and declared America was no longer a fair negotiator in the peace process, characterized Trump’s move as criminal, and a gift to the Zionist Movement. For two hours, Abbas talked endlessly of Trump abandoning the peace process. Vice-President Pence was snubbed when he came through. Washington responded that Abbas’ accusations were far from the truth. Another “he said,” “she said,” exchange. Taking the problem one step further, Trump was irate at the rejection of Pence and made the bold statement, “Money is not going to them unless they sit down and negotiate peace.” Previous US presidents have been irritated with the Palestinian opposition and obstinacy, but none threatened to cut off assistance if the Palestinians didn’t negotiate. The issue now before the world is would the PA collapse if the USA cut off all funding? A major problem indeed! An issue that has long wrangled American politicians is that the PA uses American assistance to fund terrorists and their families. American taxpayers find rewarding terrorists to be particularly abhorrent. Responding to this issue, The House Representatives and the Senate Foreign Relations Committee have approved th Taylor Force legislation which would force the PA to choose between US assistance and their morally reprehensible policy of funding terrorist. If approved, the legislation could bring the house down on the PA.
What next? The frightening possibly would be Abbas being replace by a more radical group like Hama. No negotiations would follow this entity and American security interest would be hurt. However, what is ahead is fundamentally in the hands of the Palestinians. Trump has emboldened the Israelites and pushed the Palestinians further back in the corner. They know it and can only scream. But before we draw any conclusions, it is well to remember that the sun always rises on the unexpected in the Middle East. Let’s hope this does not mean more killing. Fifty years ago, the Six-Day War was fought, won by Israel, Jerusalem united, new boundaries set, and the Holy Land has not been the same since. After 2,000 years, the Jews were in control of their homeland. For the Arab world, the time is remembered as an absolute disaster. The war began on June 5, 1967 and the cease fire was proclaimed on June 11, 1967. Since that June so long ago, the contention between the Palestinians and Israelis has continued to deteriorate. Yasser Arafat could have received an excellent settlement for the Palestinians, but walked out at the last moment because his ultimate objective was the annihilation of all Israelis – and that goal has not changed since. In recent decades, world opinion has shifted somewhat and now the Israelis are considered “occupiers.” They have such firm control of the Palestinians that about all that is left for confrontations is knife assaults by random terrorists sneaking into Israel. The hate continues to boil! As the next era begins, what can we expect? Despite all the campaign rhetoric, the Trump Administration declined to take a position on the status of east Jerusalem during Trump’s visit in May 22. National Security Advisor, H.R. McMaster was quick to say that Trump’s visit to the Western Wall was neither “religious nor political.” What in the world does that mean? The bottom line is that everything is staying the same – regardless of the rhetoric. Why? Three main reasons; Palestinian weakness, Israeli indifference, and American backing for the status quo. Nathan Thrall, senior analyst at the International Crisis Group, recently wrote in The New York Times that Israel prefers the current option of continued occupation without consequences. He noted that Israel now receives more military assistance from the United States that the rest of the world combined gets from America. Since Israel’s occupation of the West Bank began, American has given more than $120 billion dollars to Israel. After all the hand-wringing and political screaming, the truth is that the United States has continually backed Israel over the Palestinians. Thrall’s implied point is why should they do anything different from what they are currently doing. The fact is that the United States talks about ending the Israeli occupation, but will not apply the pressure to steer Israel toward other options. The PLO remains too weak and divided along with continued conflicts with terrorists groups to force any changes. After the dust settles, the issue of moving the American Embassy to Jerusalem remains problematic. US Ambassador David Friedman is ready for the move from Tel Aviv to Jerusalem, but there are no moving vans in sight. Recent months have made it clear that predicting Trump is a hopeless task. What’s ahead? Probably little change. Maybe another clash with Hamas or Hezbollah. Eventually Palestinian Authority President Mahmoud Abbas will go, but will his replacement make a difference? Not unless the goal of eradicating Israel is given up. What’s ahead? Probably more of the same. With all the turmoil in Washington D.C., during the last month, a number of things have become clear. The capacity of the executive branch of government has proven more limited than President Trump thought or realized. With the court blocking his immigration policy and now his back-peddling on many issues, the checks and balances of the America system is working. Of course, such will continue to be the case with the Israel-Palestinian situation. Initial actions and reactions will feel the pressure to think twice before taking precipitous actions. Nevertheless, considerable pressure exists in Israel for radical change in a current situation that is going nowhere. Professor of Political Science at the University of Pennsylvania Ian Lustick has not backed away from his statement in The New York Times that a two-state solution is an illusion. His position is that clinging to this ideal only clouds the political process. During his time working in Israel, what he observed led him to the conclusion that Prime Minister Netanyahu’s actual position only camouflages his true objective which is the de facto annexation of the West Bank. Lustick believes the aim of extensive settlement development is to accomplish that goal. While the professor believes future blood-shed and confrontations are inevitable, he proposes that ending what he calls “outdated ideas” will move the world forward. Voices within Israel remind the world that the dominant religion beyond their borders is radical Islam. As long as this terrorist-oriented religion is strong (and there’s no end in sight), the nation of Israel must take extra precautions to protect their citizens. They vote to stop a non-functioning Arab state from bordering Israel. Looming on the horizon is the possible takeover of the PLO by Hamas. Such an option only further defeats the possibility of a two-state compromise. Let’s add one other element that may finally be paramount in this problem. The Arabs vehemently deny Israel the right to exist. Arafat turned down a good solution for the Palestinians because his ultimate objection was to defeat Israel. Such has not changed! As Israel continues to grow stronger, the PLO grows weaker. If this trend continues, somewhere there will be a crunch … and it won‘t be Israel. Think about it, friends. How would you solve this crisis? If you come up with an answer, they are waiting for you to join them at the conference table. For a long time no one wanted to say the words out loud. With President Trump’s talk of moving the American Embassy to Jerusalem, the thought has again become more current. Sh-h-h. Say it quietly. Could the two-state solution to the Israel – Palestinian problem really be dead? The appointment of David Friedman (whose father is a Rabbi) points in that direction. Is it possible that Prime Minister Netanyahu had this intention in the back of his mind all the time? Have these new settlements in East Jerusalem on land considered belonging to the Palestinians been part of an intention to kill a Palestinian state? The last time I was in Israel, I was picked up at the airport by a man who worked in Netanyahu’s offices. As we chatted driving from Tel Aviv to Jerusalem, he made it clear that he personally saw no future for a Palestinians state. None. This is not new talk. As far back as May 2013, an entire issue of Moment magazine was given to a discussion of the death of a two state solution. Nine public figures ranging from Noam Chomsky to deputy defense minister of Israel Danny Danon weighed in with their view of the problem. On the other hand, Israel’s continued encroachment on Palestinian claimed territory has put Israelis in a bad light. The problem is that many Israeli politicians aren’t bothered by the negativity. 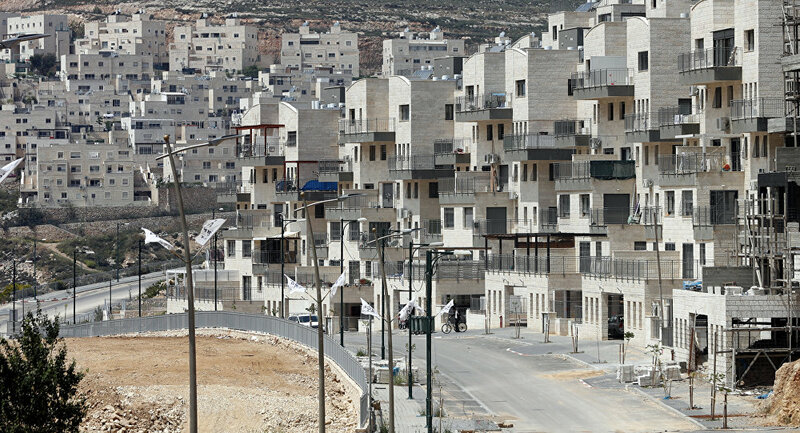 During the week of February 10, sixty politicians in the Knesset had voted into law the legalization of 4,000 homes built in the West Bank. Jewish communities that would otherwise be demolished are now declared legal. Surely, the wrath of the International Criminal Court will fall on them. The ultimate result will be the further isolation of Israel if the law stands. This action personifies the current status of the conflict: Aggressive Israelis vs. Inept Palestinians. Jews believe the Bible is on their side. Palestinians maintain history supports them. And where is this going? Nowhere. In the September 15, 2013 New York Times, Political Science professor at the University of Pennsylvania, Ian Lustick wrote about his experience analyzing the Middle East political situation for the American government. His first-hand conclusion was that the two-state solution is a fantasy that impedes progress. He maintained that continued negotiations only camouflage the impossibility of a two-state solution. With the change in the new political climate in Washington, these issues are going to surface in a new and potentially dangerous way. Keep your ear to the ground – far more will be said by politicians on all sides. We are still adjusting our new internet radio show! A young Arab boy was waiting at an intersection in Shuafat Refugee Camp in East Jerusalem. Having sunk down behind the steering wheel of a beat-up sedan, he could barely see over the steering wheel. The boy stuck his arm out the window and signaled like an adult driver before zooming through. He could not have been more than 12-years old. Unusual? Not in East Jerusalem where virtually no one cares. You can get away with almost anything you want. The struggle has become just that bad. Westerners are more concerned with Israel and the Old City of Jerusalem and generally give little thought to the Palestinians on the other side, called East Jerusalem. Americans certainly know about the suicide bombers and terrorists who kill children. Those stories have been all over the media. However, there is another more human side to the Palestinian story and we should occasionally visit the deeply personal struggles of everyday citizens who live there and are not terrorist. Of the 850,00 people living in Jerusalem, around 310,000 are Arabs, living in East Jerusalem with permanent residency but not citizenship in Israel. Apart from Arabs with Israeli citizenship or Arabs in the West Bank, life is far more complicated because they reside in a fragmented and politically tumultuous society. Most of these residents live in poverty and hopelessness. They endure daily discrimination everyday and poor public services across their part of the city. Currently, the rate of divorce and domestic violence against women and children is rising in East Jerusalem. Hannah Hochner reported in Ma’ariv that of this vastly Muslim population, 46% are under the age of 18, 37% unemployed, and 51% live below the poverty line. With such upheaval, these Arabs often feel they have nothing to lose in attacking Israelis. They now have a sense of deadlock following the election of Donald Trump with his talk of moving the embassy to Jerusalem. The Palestinian citizens are caught in a vice. If they make efforts to cooperate with Jerusalem, they would be recognizing and accepting what they call Israeli occupation. The West Bank would see them as collaborators and traitors. On the other hand, when they follow the local mukhtas, who have virtually no leadership capacities, they get nothing. It’s ease to blame Israel for this dilemma, but that is far from realistic. Israel certainly has their share of responsibility. However, here’s another example of why conditions continue to deteriorate in East Jerusalem. When Yasser Arafat died, he left behind three billion dollars he had pocketed that belonged to the Palestinians. The current PA leadership of Mahmoud Abbas has not proven better as he lost all control of the Gaza Strip to Hamas. While the Arab leadership twiddled their thumbs, the Israelis have built their country into a showcase of the Middle East. At this point, no one seems to know what will come next. And that’s the problem! The first Palestinian I became acquainted with was a tour guide named Simeon who was amazingly knowledgeable about the Holy Land and the Middle East. After the political tensions elevated, Simeon disappeared. My next most intense involvement was a Palestinian woman becoming a relative. That’s when I learned more than I ever wanted to know. She had grown up in a nomad’s tent and once worked for the Jordanian secret service. That’s where you can get the real inside information. (name is withheld for security reasons). Most Westerners are either violently opposed to or enthusiastically for the Palestinian people, but actually know little about them. It’s worthwhile to update ourselves periodically. Where did they come from? Legal historian Assaf Likhovski states that the Palestinian identity originated in the early decades of the 20th century. Many were nomadic people or local residences. They had drifted in from across the Arabic world looking for work. Some Palestinians wanted self-government in the face of fears that Zionism would lead to a Jewish state and the dispossession of the Arab majority. Local newspapers in a limited way used the term “Palestinian” to refer to the nationalist concept of a Palestinian people until the exodus of World War I. After the creation of the State of Israel and the massive Arabic exoduses , Palestinian came to signify not only origin, but also a shared past and future in the form of a desire for a Palestinian state. Modern Palestinian identity now claims to encompass the heritage of all ages from biblical times up to the Ottoman period. The origin of the idea of a national consciousness as Palestinians is debated by scholars, but the idea is basically recent. Today’s Palestinians are basically, Arabs. The day after Israel was declared a nation (by the approval of the United Nations), the Arab world descended on Israel and war followed. Arabs ran to leave the country and set in motion the land division that exists today. Founded in 1964, the Palestine Liberation Organization (PLO) became an umbrella organization for groups that wanted to represent the Palestinian people before the international community. The Palestinian National Authority, officially established as a result of the Oslo Accords, is an interim administrative body nominally responsible for governance in Palestinian population centers in the West Bank and Gaza Strip. Under Yasser Arafat, secular Palestinian nationalism was grouped together under the umbrella of the PLO whose constituent organizations include Fatah and the Popular Front for the Liberation of Palestine, groups who at that time believed that political violence was the only way to “liberate” Palestine. The result became a continuing state of war with suicide bombers, rocket attacks, and the murder of civilians. In the next blog, we will explore the impact of these changes on the everyday people on the streets in the West Band and Gaza. The story remains gripping.